Mid-Cities Pest Control was established in 1979 by Roy Leal with the dream of not only providing a pest control service, but of providing exceptional services at a reasonable price. Over the years his dream has become reality. Randy Leal, Roy’s son, and his wife Debbie have since taken over the family business. They have taken his father’s dream and grown upon it; still keeping in mind his father’s wishes to exceed the client’s expectations. Mid-Cities Pest Control has grown from the few customers it started with in 1979 to over 25,000 happy clients. 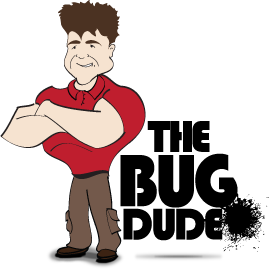 One of the ideas that Mid-Cities Pest Control practices today is that customers are priority #1. That is why clients’ rates are not increased as long as they stay on schedule with the company. We have found that there are no other companies out there that do this. We have customers that are paying the same price as their original price from years and years ago. Is that customer service or what? Mid-Cities Pest Control provides free inspections; this allows you, the homeowner, to have a trained pest professional to come to your residence, not only to identify the pest but also to discuss the different options and plans that we have to take care of your pest needs. The inspector/technician will be able to discuss the process of making sure that your home is well protected, whether it is from ants, roaches, mice, rats or even termites. No matter what the multi-legged pest is, give us a call we would love the opportunity to earn your business. With weekday and even Saturday appointments we make it convenient for you to get the proper protection.